Size: 12", 14", 16", 18". Deep pneumatics offer the best brand names available in the compressed air domain, such as atlas capco, elgi, kirlosker, C.P.T., K. G. Khosla, ingersoll-rand etc. In order to assure customer satisfaction, we offer stationary and portable compressors. All the products carry an extensive performing warranty to assure customer satisfaction. Our company is widely appreciated for Oil Cooler Cover. This Oil Cooler Cover is used in various machinery and automobile industries. 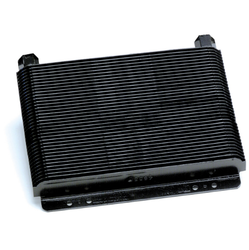 This Oil Cooler Cover is made using high-grade raw-materials. This product is very strong and long-lasting. Moreover, this product is available at reasonable price. Mfrs. Plastic Desert Coolers Grills 15"
Our reputed entity is engaged in supplying Cooler Pipes. 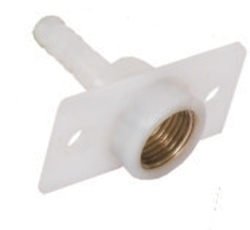 We are one of the leading manufacturers and suppliers of Cooler spare parts. Our products are applauded for its robust construction and durability. Cooler Motor Leg:1) Usable for 16' & 18' model.2) Powder Coated.3) Glosy Finish.4) Part weight 120 gm.5) More durable & Strengthful.